It is finally here – the 2019 International Builders’ Show (IBS)! In just a few short days, the homebuilding industry’s largest conference and convention will commence for three days of showcases, education seminars, networking and more. With education serving as such a significant component of the Show, Denim Marketing is excited to announce three of its team members were selected to speak this year! 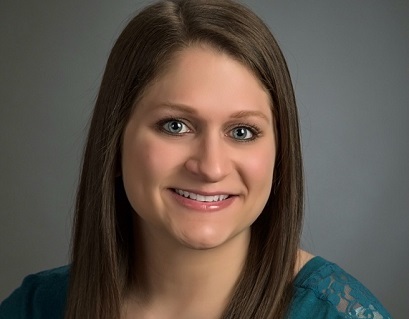 One Atlanta marketing professional speaking at IBS this year is Denim Marketing Account Manager Mandy Holm. Mandy will present two Tech Bytes sessions, both with The Providence Group VP of Marketing, Social Media and Digital Sales Kelly Fink. During this presentation learn what a vlog is and why it might be right for your content strategy, what makes good vlog content and how to develop a storyline and learn how to measure and track the success of your paid and organic campaigns. The second Tech Bytes session Mandy will present, also alongside Kelly Fink, is titled Pay to Play: Successful Facebook Advertising for Builders. Beginning at 4:15 p.m. in the Tech Bytes Room, South 229, Mandy and Kelly will share past successes related to Facebook advertising and leads. Love or hate it, Facebook, is the No. 1 social media outlet and the world’s most sophisticated advertising platform. With recent algorithm changes, it is harder to reach followers and prospective clients with organic reach alone. Hone your Facebook advertising skills to create engaging ads that reach target audiences based on their behaviors, interests, employment and more. Learn about the various ad options and how to maximize reach, engagement and ROI. Whether you are looking to drive traffic to a specific landing page or simply increase post engagement, Facebook has an ad option that caters to that. Be sure to add these sessions to your show planner. 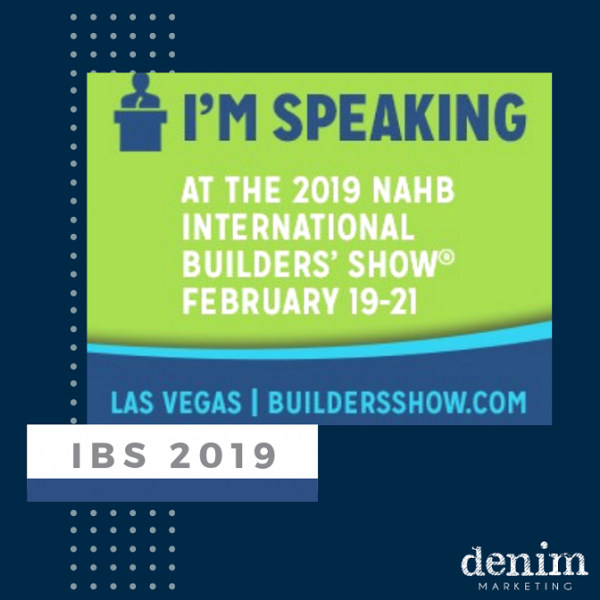 Click here for complete details regarding all sessions the Denim Marketing team is presenting at the 2019 International Builders’ Show – we’ll see you in Vegas, baby!